"Graham throws new light onto a familiar nursery rhyme, casting Humpty as the reckless scion of a family of circus acrobats, and giving him a very shy little sister who bravely comes through in the clutch. The writing and art are equally exquisite. 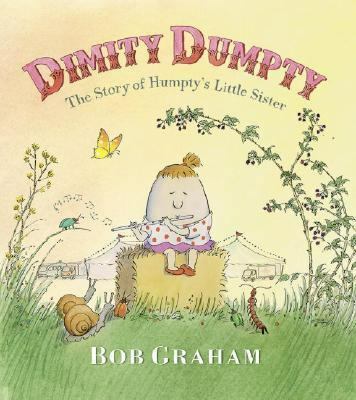 "Graham, Bob is the author of 'Dimity Dumpty The Story of Humpty's Little Sister', published 2007 under ISBN 9780763630782 and ISBN 0763630780.